By Megan Graham. Published on June 12, 2018 . Digitas has upped two longtime Digitas leaders to the roles of North America chief creative officers. Atit Shah and Andrew Carlson replace Ronald Ng, who was upped to the agency's global chief creative officer spot earlier this year. He filled a years-long vacancy after Mark Beeching departed five years ago from his role as worldwide chief creative for the agency. Ng called Shah and Carlson "the fabric of our agency" in a statement. Shah, who joined the agency 19 years ago and calls himself a "rare lifer" at Digitas, was most recently EVP and head of brand experiences and executive creative director for North America; Carlson, who joined Digitas right out of grad school 16 years ago, was EVP of experience design for North America. Digitas has had an eventful year from an organizational standpoint. In October, Publicis Groupe moved the agency out of the Publicis.Sapient hub and into the Publicis Media umbrella. In March, the agency dropped the "LBi" from its name five years after the merger between Digitas and LBi. Digitas recently announced its new global brand proposition as "the Connected Marketing Agency." The agency, along with Publicis Media sibling Spark Foundry, also swiped Macy's $400 million media account from Carat last month. Shah says part of his task with Carlson will be to "scale creative adaptive thinking" and do projects for brands that are multidisciplinary by birth. He gives the example of "Taco Bell Blackout," a campaign the agency worked on to promote Taco Bell's mobile ordering app by wiping out its social channels to promote the new app. "Not just moments—big, scaled endeavors that sustain year over year. ... I want us to get uniquely good at that," Shah says. Carlson says one challenge will be doing this kind of work at scale across the agency. "It's a battleship, for sure," he says. "The challenge is going to be scale, and being able to change the muscle memory of a large organization in a way that leads into where we think the market is going and where we think we can do the best work." 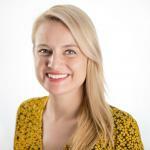 Megan Graham is an agency reporter at Ad Age. Prior to joining Ad Age in 2017, she covered technology and startups for the Chicago Tribune’s Blue Sky Innovation section. Earlier in her career, she covered business and breaking news at the Chicago Sun-Times. Originally from Chicago, she earned her B.A. in news-editorial journalism from the University of Illinois at Urbana-Champaign.